BIOMEL* is a milk replacer for calves. 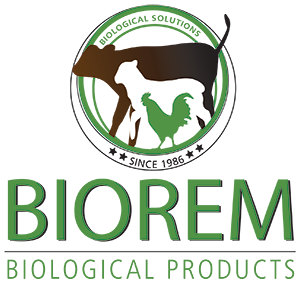 It also contains BIOREM, Reg. nr. G958, a Lactic Acid Bacteria culture for the treatment and prevention of diarrhoea in calves and lambs. It also helps with the earlier intake of feed, which result in earlier weaning. BIOMEL* also contains BIORED*, an Bioflavonoidic Antioxidant, Reg. nr. V20924, a vitamin sparing agent. When mixed according to recommendations, every liter BIOMEL will contains at least 2g BIOREM. WHY IS THE FAT CONCENTRATION 13%, AND NOT HIGHER AS IN COMPETITIVE PRODUCTS? Several trials with higher concentrations of fat included in the milk replacer, resulted in higher tendency of metabolic interference, which manifested in diarrhoea and dehydration. This result was verified by comparative trials with competitive products of which all had a fat content percentage of 18%. The conclusion was made that 13% fat content is optimal in BIOMEL*, under typical South African conditions. BIORED, included in the product, protects lipids in rations, and may be the reason for the better performance at lower fat inclusion levels. These results are available on request. Add 120g (250ml) powder to 1 liter water at 40°C. Mix thoroughly. Use BIOLAM Reg. nr. V22490. Give 10% of live mass divide in 3 feedings per day for the first 2 weeks. Change to 2 feedings per day from week 3, monitor carefully and repeat 3 feedings per day at any signs of diarrhoea. • Supply Calf starter feed from the 2nd week. Water must not be supplied ad lib during the first 2 weeks. Supply water from the 3rd week, but it has to be removed for at least an hour before and after feeding. If diarrhoea occurs, reduce the measure of milk to half the normal intake. Ensure that no water is freely available. Dose BIOREM dry on the tongue, at double dose, 3 times per day. Normally the diarrhoea should be stopped by the following day. It is our intent to formulate a milk replacer specific for Jersey calves early in 2011. 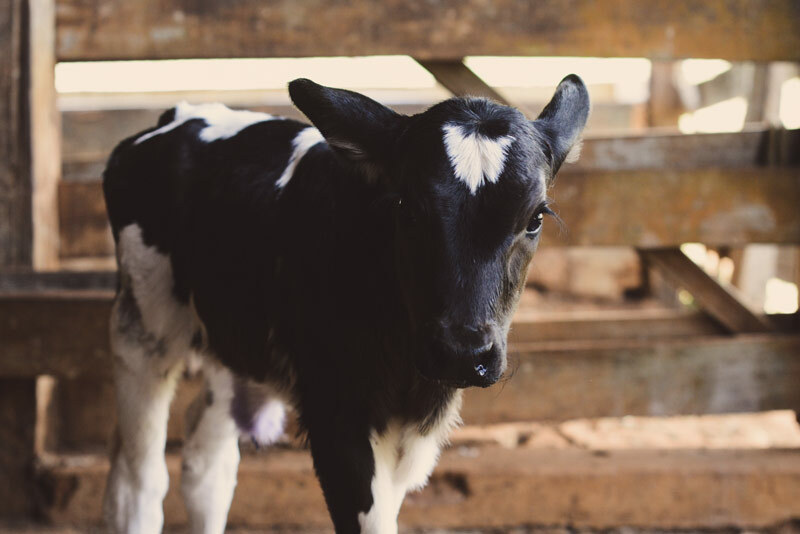 Fresh Jersey milk has a higher fat content, and therefore a calf may ingest smaller amounts, resulting in better energy acquisition than with a general formulation with a lower fat content. Using BIOMEL at this stage for rearing Jersey calves, we recommend you increase the ratio to 150 gram per liter. Jerseys are very sensitive to the volume of milk. Do not overfeed! The average Jersey calf weighs about 25 Kg. At 10% of body mass, the calf only needs 2.5 Liter per day. Divide in 3 feedings per day, you need 800 ml per feeding. More than that per feeding will lead to diarrhoea. • Contact us for more information on the rearing of calves, diarrhoea emergency treatment, growth problems and weaning methods.